Project property for the entrepreneur with vision! 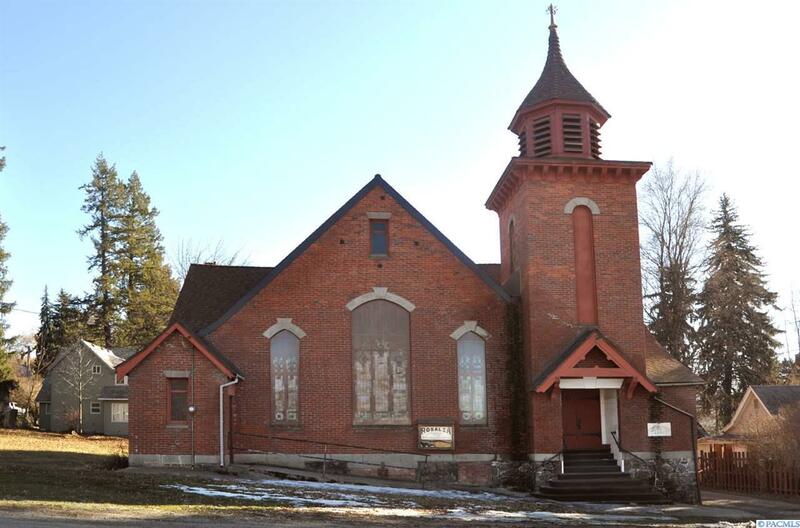 Most recently used as a performing arts center, church has possibilities for its original use, residential use, multi-unit housing, bed-and-breakfast, studio/gallery space, bridal chapel - bring your ideas! Large spaces, several rooms, older commercial kitchen area in basement and multiple bathroom areas. Second adjacent lot (106 E 7th Street address) included. Very motivated Seller, make an offer! Listing provided courtesy of Team Washington Real Estate Colfax. © 2019 Multiple Listing Service of Pacific Regional Multiple Listing Service.